The word of the week is overwhelmed. I’m not sure if it was the project at work that took an intense amount of time and energy, the 12 inches of snow, or the fact that there hasn’t been much down time on this end for a while. 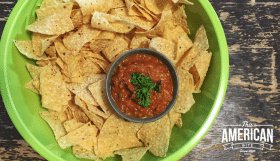 I’ve been so overwhelmed this week that I worry that you missed my broccoli soup video, one pot chicken, or perhaps you don’t know about my Bob’s Red Mill Giveaway. It was a week of quick dinners and very little writing. 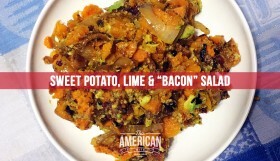 My wife saw how stressed out I was and she stepped in to share this recipe with you. 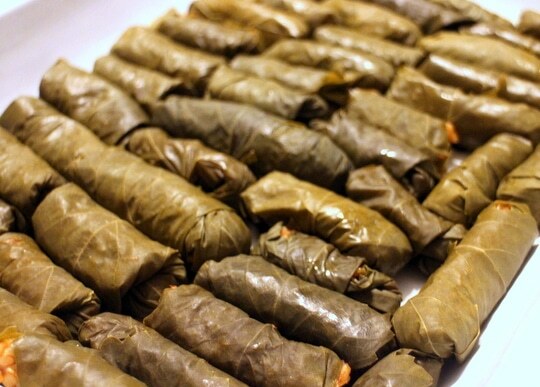 Yarprakes, Dolma or Stuffed Grape Leaves are a huge treat in our house, and they take a fair amount of time to perfect. Each and every time, they are delicious and this batch was no exception. Now, I’ll hand it over to my wife! If you enjoy this post, check out her writing at DaniellaSilver.com or follow This American Mama on Facebook. 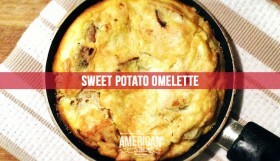 There are certain foods, certain smells from the kitchen that connect me to my family, loved ones who have passed and my heritage. My Nona (which means grandma in Ladino) made the most amazing Sephardic (Jewish/Greek) food. My Dad side is from the Island of Rhodes and Istanbal (those were the places my family fled after the Spanish Inquisition) and so I was raised with a very strong connection to my Sephardic roots. Even though my Nona is not alive, when I cook her recipes I feel like she is right there with me. 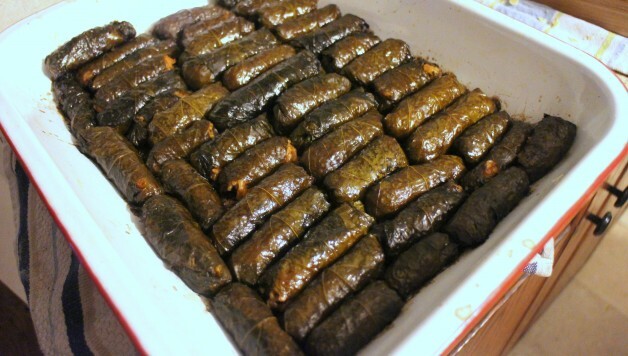 Foods like Yaprakes (stuffed grape leaves), quashado (spinach and cheese souffle),boyos, bulemas, borekas and biscochos (round cookies) were common foods in her house and I loved eating them and baking them with her. Every week we would visit with her and the minute we walked into her apartment we were greeted with a smile, hugs and amazing food that filled our souls with so much warmth, love and joy! 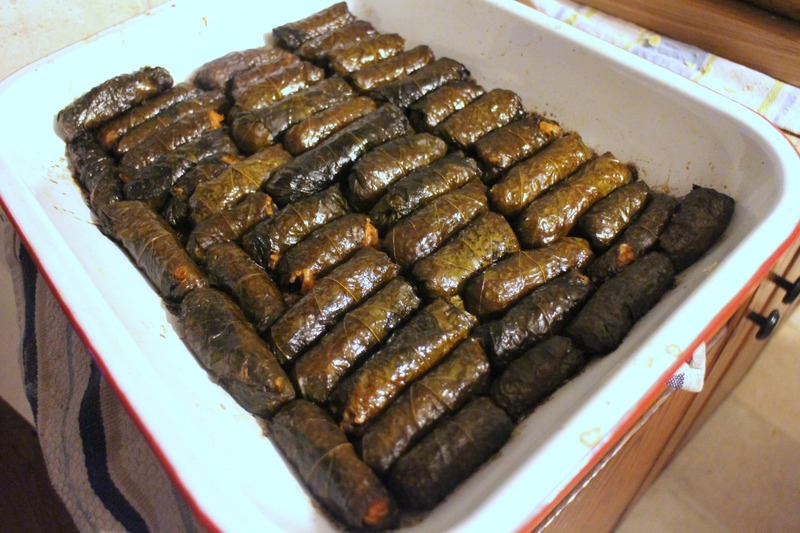 My favorite food to make with her were Yaprakes (stuffed grape leaves). When it came to rolling, there was a right way and a wrong way, according to my Nona. One of her most admirable traits was her honesty (she told you what she thought, whether you liked it or not) and loving nature. Nona would put me in my place every time if I got sloppy or didn’t make the Yaprake roll tight enough. When Simon Majumdar came to our house last summer I even scared him from helping me roll the grape leaves after I told him my rules for rolling! He politely said “I think I will just watch”. Needless to say, he really enjoyed the grape leaves, so if I can impress an Iron Chef judge, you know they must be good. Now a days, whenever my family gets together I love making Yaprakes for them but I have very specific rules when people want to help. I feel like I need to follow in my Nona’s tradition, what can I say. Rolling Yaprakes takes dedication and focus and something I take very seriously. 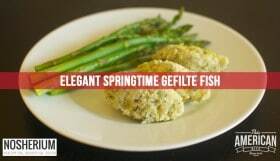 I hope you enjoy this recipe and it fills you up with joy and comfort, like it has done for me my whole life. 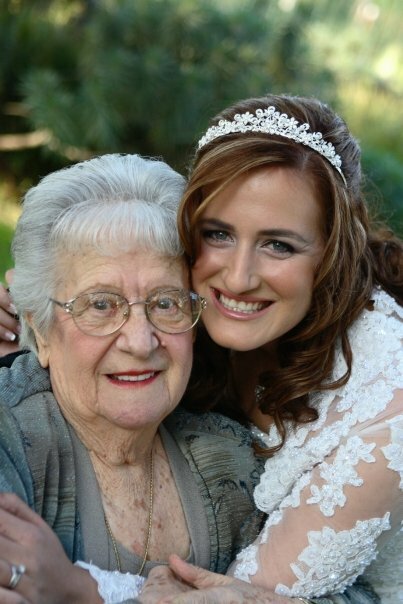 Forever in my heart Nona, I love and miss you! Saute onion with garlic, salt and pepper until soft. Add rice,tomato sauce, water and juice from 1 lemon and cover until fully cooked. Slightly ground meat in a pan. Combine rice and meat mixture and add in parsley, add more salt and pepper if needed. If you are using a jar of grapleaves, make sure to rinse well with water to remove brine taste. Make sure the grape leaf is patted dry, stem removed and veins are facing up (towards you). Put a teaspoon of mixture in the middle of the leaf. Gently roll the bottom of the leaf around the mixture, fold in both sides and continue to roll (tightly) to the top of the leaf. 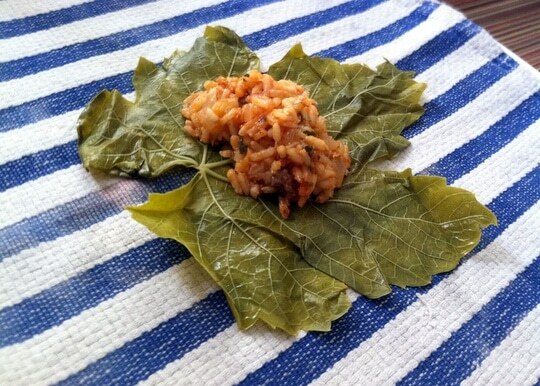 Place grape leaves close together in a well oiled baking pan. Squeeze a lemon with 1/4c. olive oil in a cup, mix together and pour over the grape leaves. Bake 350 covered with foil for 40min, and 15-20min uncovered. Sometimes it’s easier to see how it’s done… if you’re a visual learner, check out my one minute video showing how the experts roll their grape leaves!